Will Self-Driving Cars Be a Reality by 2025? The rise of autonomous vehicles is heralded as one of the most disruptive trends of the 21st century, with the power to transform our cityscapes, day-to-day routines, and lifestyles. But planning for this new technological era is no simple task. What is driving the trend for self-driving cars? 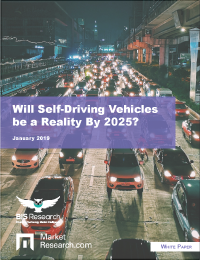 Packed with detailed analysis and insightful graphics, this white paper is a must-read for anyone interested in the future of driverless car technology and the different levels of autonomous driving.